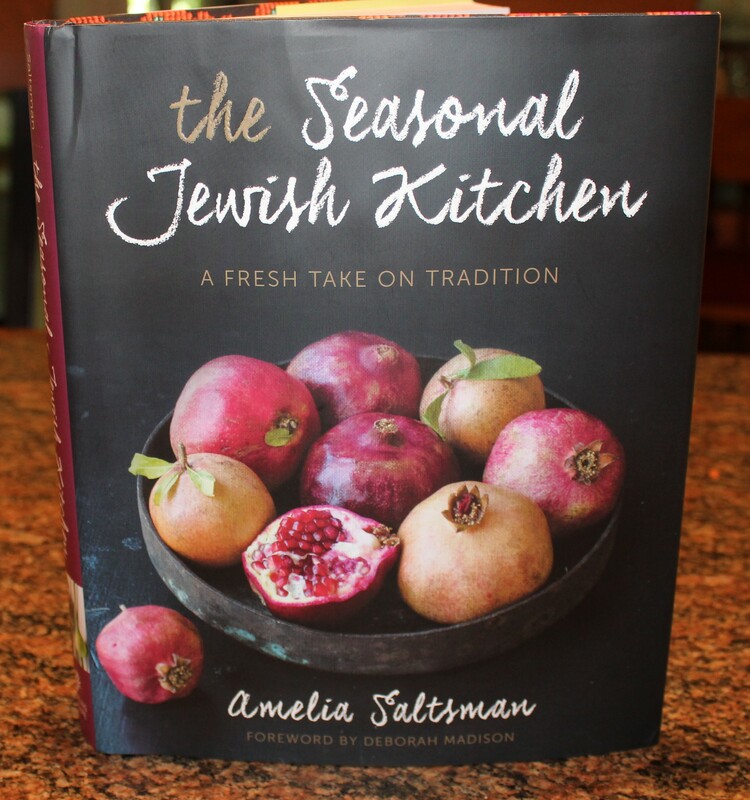 The Seasonal Jewish Kitchen by Amelia Saltsman: Buy This Book! 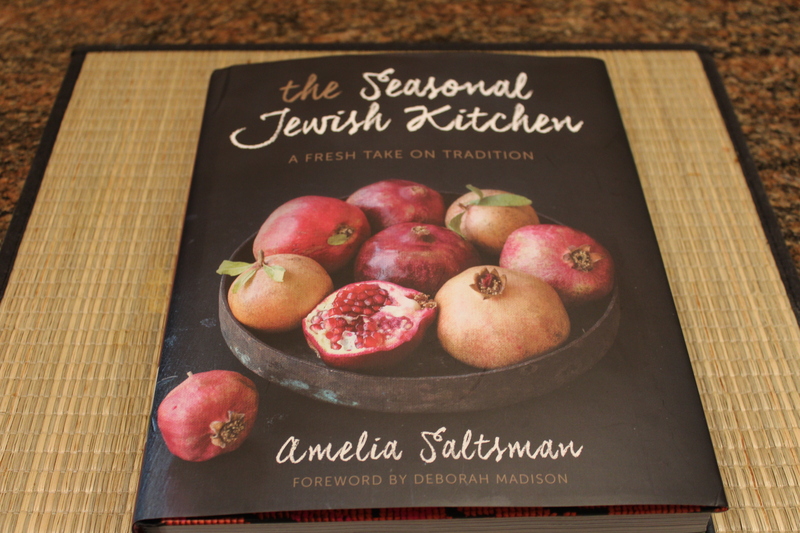 Recently I was sent a review copy of The Seasonal Jewish Kitchen: A Fresh Take on Tradition by Amelia Saltsman (2015). What a jewel of a cookbook! Since I am not Jewish, I was quite interested to take a close look at the recipes and learn more about traditional and contemporary Jewish cooking. In addition to learning quite a bit about Jewish cuisine from its roots to today’s emphasis on seasonality and sustainability, I now have a number of recipes I can’t wait to try! Before I started writing this review, I sat down with this cookbook and slowly leafed through it, looking for a seasonal recipe to try not only for its taste, but also for its ease of understanding the preparation directions. 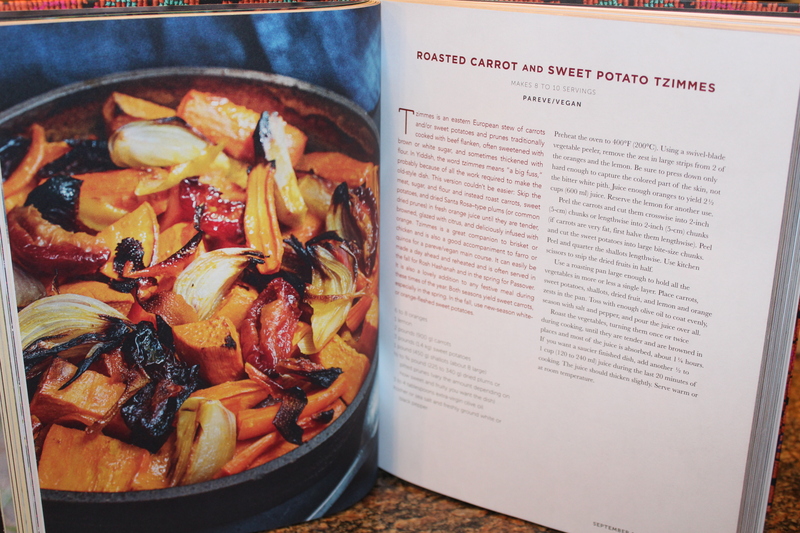 I chose the Roasted Carrot and Sweet Potato Tzimmes, which was an awesome recipe to test and, as I learned later, was the inspiration for this book. You can access my blog post on this recipe by clicking Kel’s Cafe Saltsman tzimmes recipe. After the “chef- me” was wowed with the tzimmes, the “writer/editor-me” took over to dissect this book cover to cover. One of the first things I look for in a cookbook is the photographs of the food to get an idea of how the dish should look, especially if it’s a first-time cuisine or recipe for me. No disappointment here — the photography is stunning, thanks to Staci Valentine. Not every recipe has a photo, but kudos to the ones that do! On to the table of contents and index, both of upmost importance to me, and both were fine. While I only crossed checked a few of the listings in the index, that test passed with flying colors. I love to be able to look up a particular item (especially offline) various ways, such as “Olives, Green” or “Green Olives”. 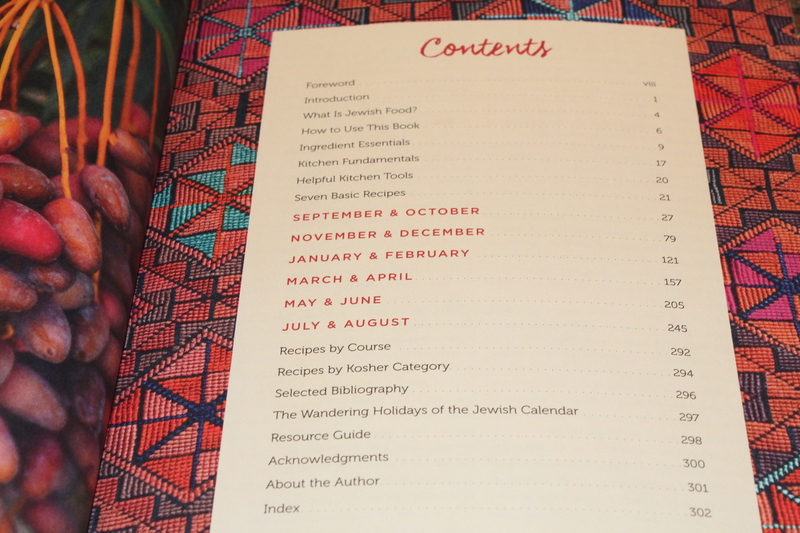 The introduction to The Seasonal Jewish Kitchen gives a great synopsis of the inspiration for this cookbook and its features. I like the explanation of Jewish food (especially helpful for a non-Jew like me.) 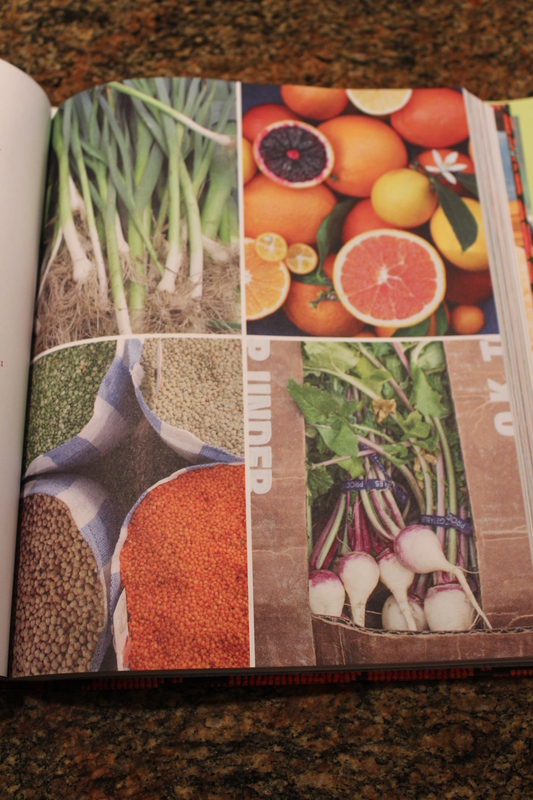 But what I really love about the upfront material is the section entitled “How to Use This Book,” which describes traditional Jewish ingredients, handy kitchen tools and techniques used throughout the book. Saltsman then presents a list of Seven Basic Recipes that she describes as “part of the foundation flavors of cooking through the Jewish Diaspora” and includes Sephardic rice; tahini and lemon sauces; lightly pickled cabbage; labneh; and Ashkenazic schmaltz and gribenes. These recipes are referred to frequently throughout the book, and it’s nice to have them handy in one central location. I absolutely love how Saltsman divides the book into six micro-seasons, beginning with September and October, the start of the Jewish year and the fall harvest. Each chapter emphasizes the deep connection of Jewish traditions to the year’s cycles and contain information about the holidays and ingredients of that period. The spring herbs of Passover and the autumn pomegranates and apples of Rosh Hashanah are classic examples. Make sure you read the brief descriptions at the beginning of each recipe. They are full of wonderful information about the recipe, including its place in history, descriptions of some of the ingredients, Saltsman’s personal account of the food, etc., helping to put it all into context. 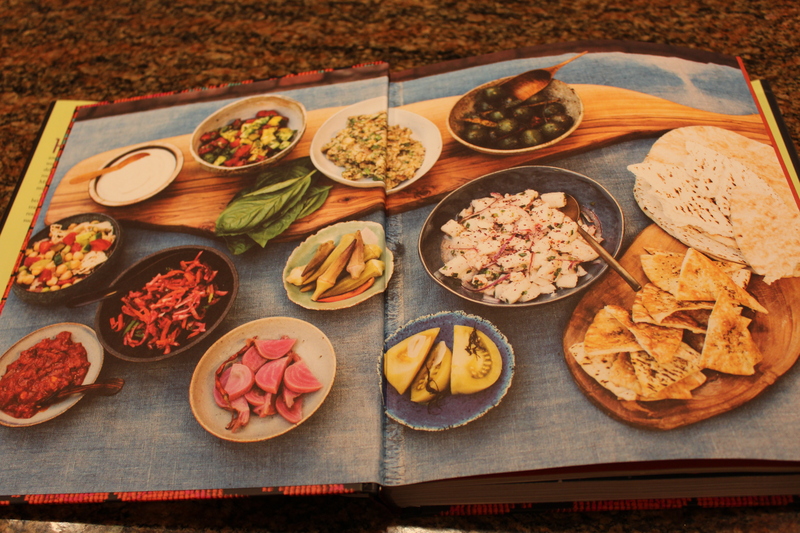 This beautiful book is certainly a keeper in my cookbook collection. I appreciate Saltsman’s storytelling approach to her recipes, Valentines’s delightful photography, and the entire layout of the book. It’s available at www.amazon.com and other retail bookstores. What a great gift for the cook in your life (or yourself), any season of the year! 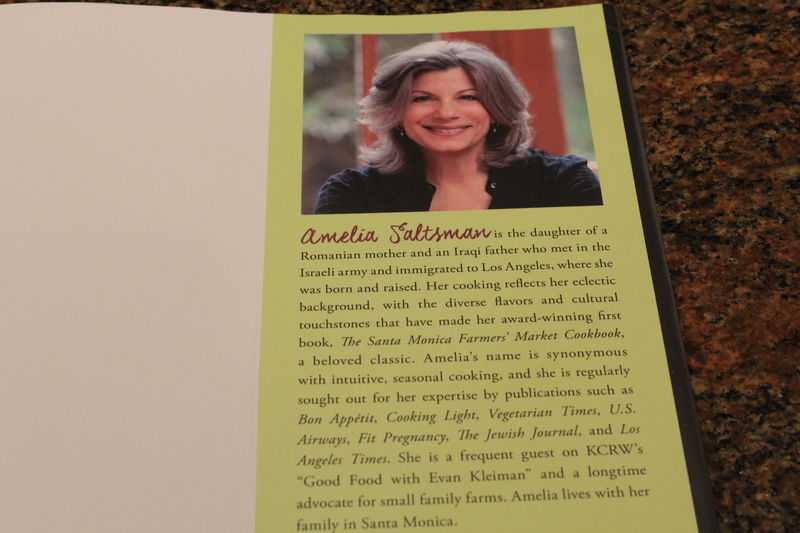 This entry was posted in Product Reviews and tagged Amelia Saltsman cookbook review, Amelia Saltsman recipes, eat drink and be merry, Jewish cookbook review, Kel's Cafe cookbook review, Seasonal Jewish Kitchen book review, Staci Valentine photographer Seasonal Jewish Kitchen. Bookmark the permalink.